Cloudyn makes it easy to understand, control and optimize your cloud consumption. With intelligent analysis, customized alerts, and actionable recommendations you can identify underutilized and unused resources, avoid unanticipated spending, and select the best pricing plans for your unique business and IT requirements. Cloudyn’s non-intrusive SaaS-based solution can be activated and running in minutes. Within 10 days, IT managers and CIOs receive a thorough analysis of their cloud environment, along with actionable recommendations on how to optimize pricing plans and operational efficiency. 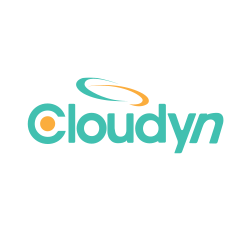 With over 1 million instances monitored, Cloudyn delivers an average of 40% cloud-related cost reductions to organizations with significant cloud investments in various industries worldwide. Cloudyn’s team of software veterans combine extensive experience in cloud computing and network optimization with a proven track record in transforming innovative ideas into viable and valuable products. VC-backed, the company is headquartered in Tel-Aviv.